Skyrocketing from last year’s #40 to #4 this year on DJ Mag’s ‘Top 100 DJ’s list’, 18 year old sensation Martin Garrix is soaring at phenomenal heights with his pure genius. 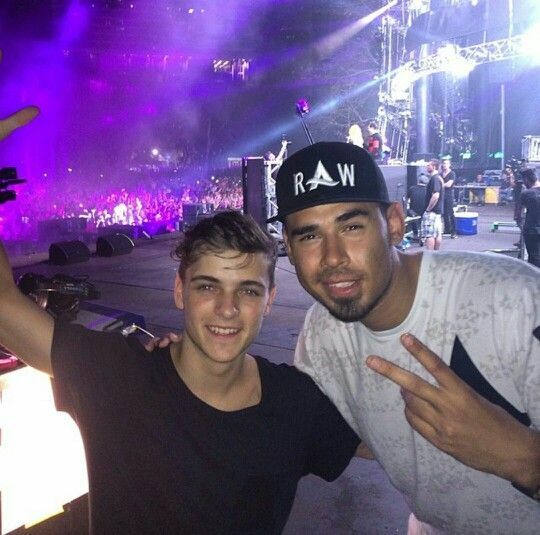 And what’s the need to worry when you have the perfect big brother in Afrojack? Signing off the year on a high at #12, Afrojack has seen it all, the fame, money, success and the grit needed to achieve the unthinkable. Featuring on Forbes’ latest edition of 30 Under 30, both these massive talents have attained well deserved recognition for their unmatched expolits. Here, Forbes catches up with both the artists to have a little chat about they swear by and what defines them. 2. What’s your average bedtime? 4. Who’s your dream mentor? 1. Describe what you do in two sentences. I run a record label, studio, produce and compose music, and DJ every now and then. 3. Did you grow up poor, working class, middle class or wealthy? We had everything except money, raised by a single mom. Max Martin, Frank Sinatra, Richard Branson. 5. What age did you decide what you wanted to be when you grew up? Selling out my first solo Arena show in Amsterdam (12,000 tickets) in a weekend where all my other DJ friends were also doing shows. Making and releasing more music, and bringing some new talents I’ve been working with for some years out on the scene! 10. Do you have any kids? Single dad of one beautiful girl. Previous article Ultra release massive Phase 1 line-up!